The teachers at Learning Wonderland have your child’s well-being at heart when we plan our activities. We use the Creative Curriculum®, and we love this curriculum because of its combination of intentionality and creativity. To learn more about how we combine these two important educational elements at Learning Wonderland Preschool and some ideas for home, keep reading. First, we will look at the idea of intentionality. This concept has become an important buzzword in recent years in education, and it deserves the attention it gets. Intentionality means that everything you do in the classroom has a purpose. From the position of the garbage can in the classroom to the activities to the words you use to teach the lesson, all have an educational intent behind them. Intentionality can mean that a lesson has many layers of meaning behind it and all are touched on and explored in the course of the lesson (which could last days or weeks depending on the unit). One great example used by Kaplan is that of the heart. With Valentine’s Day just ahead of us, this is also a seasonal example for you to use at home too! 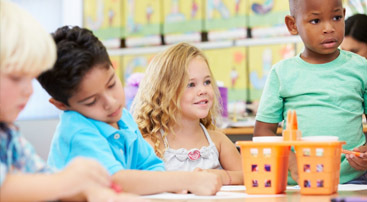 They show how intentionality can be used to layer a lesson to include higher level play, which involves extended role playing, use of props and planning lessons. Intentionality can be used when the children make their traditional hearts from red construction paper, lace doilies and fun stickers. This is a great opportunity for the young students to practice fine motor skills while cutting, gluing and placing stickers. The teacher can then segue to talk about the physical heart and ask them what they know about it, what questions they might have about their own hearts, and what they would like to know. This method prompts the children to search their existing knowledge, to think critically about what they would like to know and spurs learning and curiosity. The concept that our curriculum at Learning Wonderland Preschool and daycare intentionally emphasizes is small motor skills. These are the skills in involved in controlling the small muscle groups of the hands. They involve control and hand-eye control. Teachers can guide preschool children in lessons that develop fine motor skills with the children never knowing. They don’t need to know; they can just have fun threading the bead onto the pipe cleaner, gluing the bits of paper into a shape, using clothespins, and dressing small dolls. 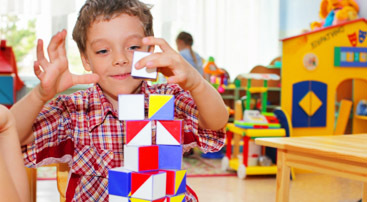 All these fun activities are great for toddlers and preschoolers. Their advancement through skill level sin fine motor control is fascinating to watch. 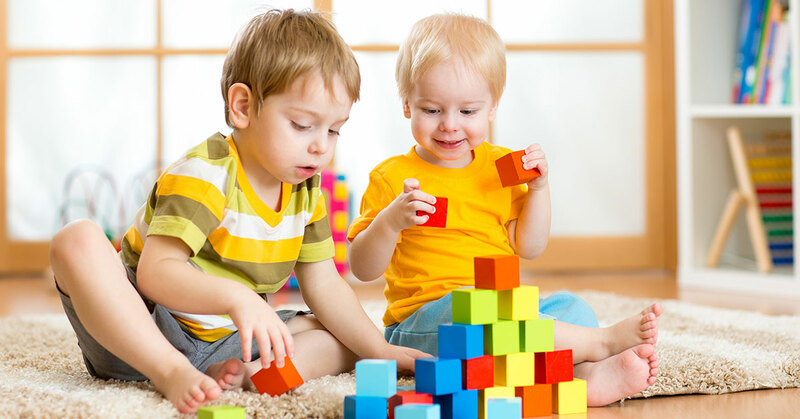 Girls generally develop their fine motor skills sooner than boys, while boys develop their gross motor skills first. Even within groups of boys or girls, there will always be a bell-curve of those who develop them astonishingly fast, and others who lag behind. It is important to remember that all children develop at their own rates and while it’s great to give them opportunities to develop these skill,s they should not be pushed or pressured. If you are looking for some ideas to help your child continue to work on their fine motor skills at home, we have some fun activities you can do with your child at home. 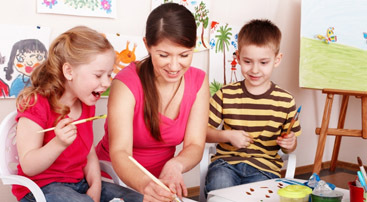 These types of activities are also done at Learning Wonderland Preschool, though not necessarily these exact lessons, so when you do them at home, they will be new and exciting! This gives you a chance to practice intentionality, in that you are really promoting fine motor skills in your child, while also seizing the opportunity to witness and access your child’s level of fine motor skill development. You will be used to noticing oohing and aahing at your child’s progression in fine motor skills. From the time they are able to firmly grasp objects with their fist, around five weeks old, to picking up food from their high chair tray, every new milestone is awe inspiring to a doting parent. Long before they can hold a pen correctly, or thread a small bead, you can give children activities that work to develop their hand-eye coordination. One easy thing you can have a child do is to play a dump and sort game. The classic toy where children put triangles through triangle holes is a great example of this. While you are cooking, give your child a plastic colander and a set of pipe cleaners and have them thread the pipe cleaners through the holes. Take a plastic container or a used oatmeal cylinder and cut holes in the lid and sides. Make the holes different sizes. Give the child some pompoms and have them put the pom poms through the holes. They can dump them out and repeat. You can also teach colors and counting with this activity. When you child is old enough, you take an empty parmesan shaker, or any shaker with larger holes and have your child insert cotton swabs through the holes (a larger shaker with cotton swabs is an alternative. Look around your home and find activities that interest your child and that you know will require him or her to use their fingers. You can be intentional and fun at the same time, just as we try to do here at Learning Wonderland Preschool!